Paradise V-Glucosamine is a non-shellfish vegetarian source of glucosamine. Until recently, glucosamine was only available derived from shellfish waste, which in some people can cause allergic reactions. Glucosamine is a key building block for connective tissue and cartilage. It contributes to the cushioning nature of the joint fluids and surrounding tissues. 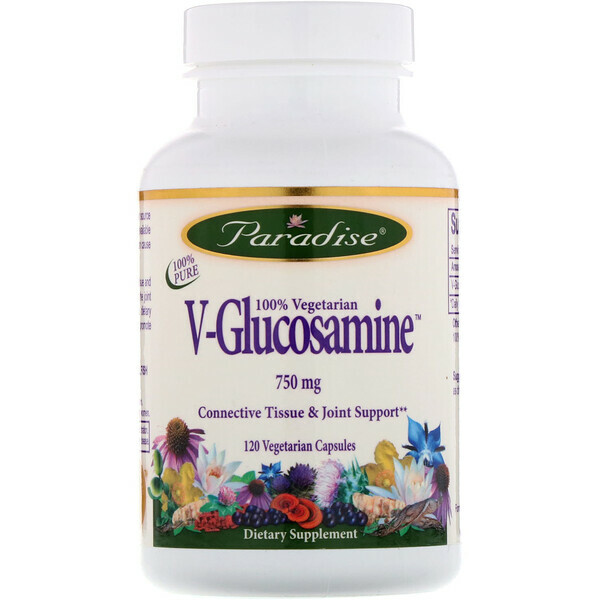 Glucosamine is a dietary supplement used to help increase flexibility and promote overall joint health. 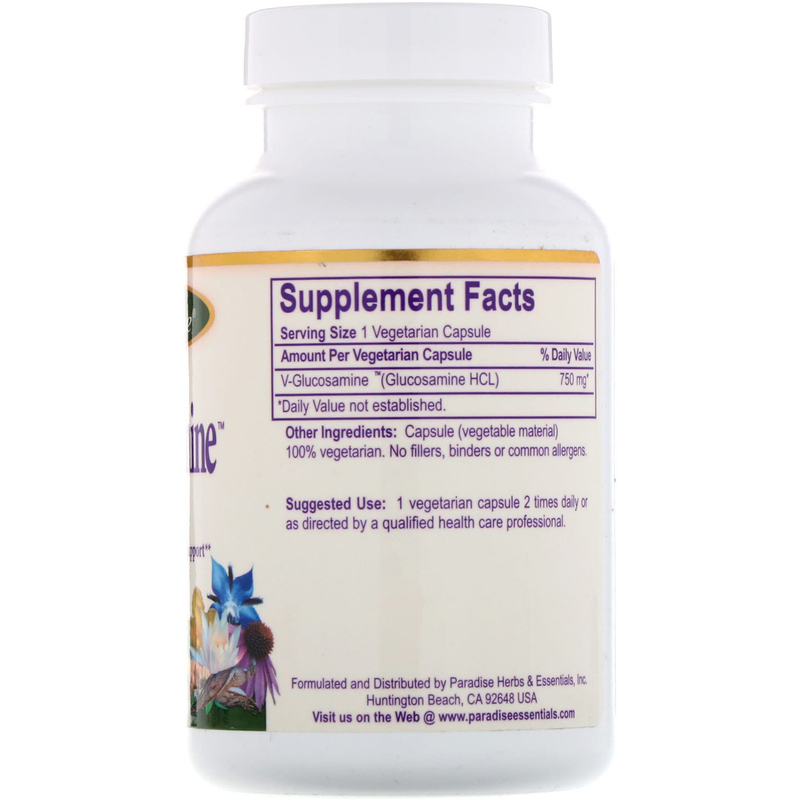 1 vegetarian capsule 2 times daily or as directed by a qualified health care professional.